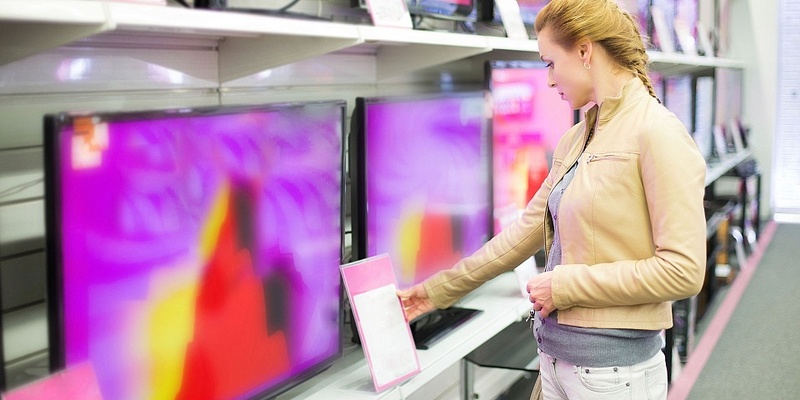 One in four who bought a warranty in-store said they felt under pressure to do so, new Which? research has found. The research showed one in five people had purchased a warranty in the past 12 months from a range of retailers. Nearly a quarter (22%) of shoppers who purchased a warranty in-store during this time said they felt pressured by staff into buying the warranty. Currys PC World was the most common retailer from which shoppers purchased a warranty, with 32% of respondents who took out a warranty in the past 12 months saying they used the store for their purchase. Argos was the second most common retailer, with 17% buying there, while Amazon and John Lewis came in third and fourth, with 7% and 6% of warranties being bought there respectively. Changed your mind about a warranty? Read our guide on how to cancel an extended warranty. 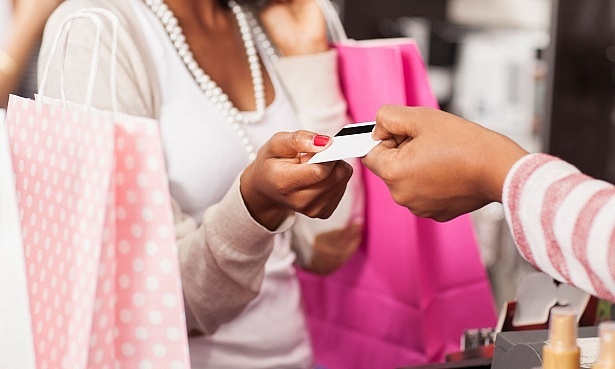 Shoppers have rights under the Consumer Rights Act, which run parallel to any terms in a warranty or guarantee. Warranties can often be more generous, but they do sometimes have exclusions and many run out after one year while your statutory rights persist. We found the majority of consumers (82%) are aware that they have the right to get a full refund if goods develop a fault within the first 30 days, even without a warranty. However, a considerably smaller proportion of consumers were aware of their right to get faulty goods repaired beyond this. And overall, 23% thought they would be entitled to a repair or replacement if their goods developed a fault outside of the warranty period. Warranty claims usually require you to show evidence of the fault as well, whereas your rights don’t require this for the first six months. The research also found that those who took out a warranty in the past 12 months were more likely than those who hadn’t to falsely assume that they have no right at all to a repair or replacement for faulty goods without a warranty. Around a third of shoppers who had taken out a warranty in the past 12 months thought this, compared with a quarter who hadn’t. Remember that if you’re having trouble getting a repair or replacement on the warranty, you also have the option of a faulty goods claim under the Consumer Rights Act. Find out more about how warranties, guarantees and your consumer rights work. Are warranties good value for money? We found people purchased warranties equally online and in-store, and for a variety of products at a range of prices. 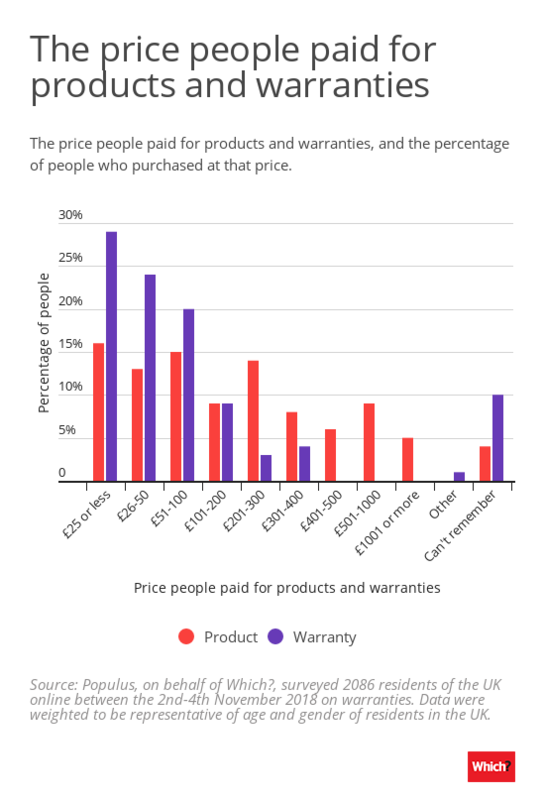 More than 2 in 5 (44%) bought warranties for products that cost £100 or less, and we found almost one in 10 of those paid more for the warranty than they paid for product itself. 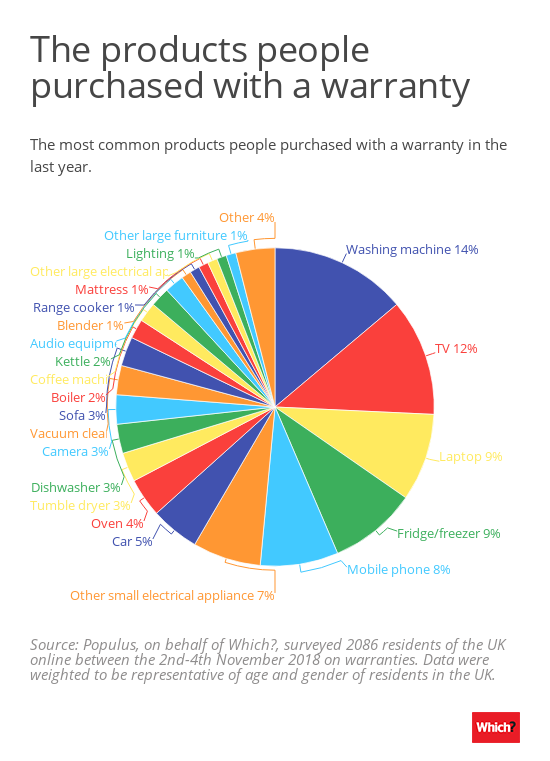 UK shoppers bought warranties for a range of goods, the most common being a washing machine and the next most common being a TV. Just over a third of those aged 18-24 who bought a warranty purchased it for a laptop/mobile phone, compared with 17% of the total. But those who made a claim on their warranty were more likely to say the warranty was poor value for money (15%) than those who hadn’t (6%). If you have or are thinking of getting a manufacturer guarantee or warranty, always read up on what it covers. That is especially the case if you’re paying money for it, as it may only cover part of the item. As a manufacturer warranty or guarantee claim will be a contractual claim, you need to be clear about what it will and won’t cover. We explain what to do if your warranty provider won’t honour your warranty. Populus, on behalf of Which?, surveyed 2,086 residents of the UK online between the 2 to 4 November 2018. Data weighted to be representative of age and gender of residents in the UK. Got a faulty product to return? Warranty provider rejecting your claim?